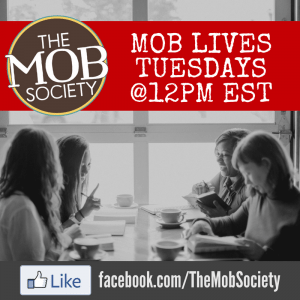 Dear MOB Society,My son’s ADHD is out of control. We’ve tried everything to help him and nothing works. I feel like such a failure. Can you help? My son was almost four years old when he was first diagnosed on the autism spectrum. Initially I took him to see a psychologist who told me that she believed he had ADHD. I didn’t want to hear that. A few months later he was diagnosed with Sensory Processing Disorder and as I worked with specialists and our pediatrician to get that under control it became obvious that there was something to what that first doctor had mentioned. My sweet boy was angry all the time. He was destroying things in frustration. One afternoon he actually pulled a pipe out of the wall and left us with no water for 18 hours. He has no impulse control. He flies into a rage over any little frustration. He doesn’t sleep well and has a hard time focusing on anything. We tried occupational therapy for a while but hit a wall when his destructive behavior took over. I changed his diet: no sugar, no dyes and no preservatives. I made sure that he had plenty of time outside to run and play. I bought magnesium supplements and tried essential oils. I tried every single parenting resource that I could think of. Nothing worked. In fact it seemed that my son was just getting worse. I felt like a failure. Did you read that mom? That boy that is driving you crazy. That passion that comes out as aggression and destruction. That inability to sit still or that ability to be hyper focused on something all has a purpose. 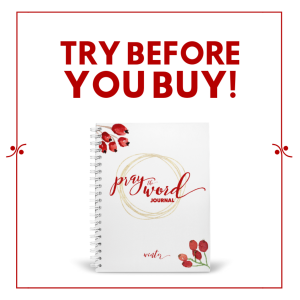 God will use “those boys” and us worn out and weary moms for His glory. Sweet mom that is at the end of your rope, hold on! Let go of the feelings of failure and frustration. 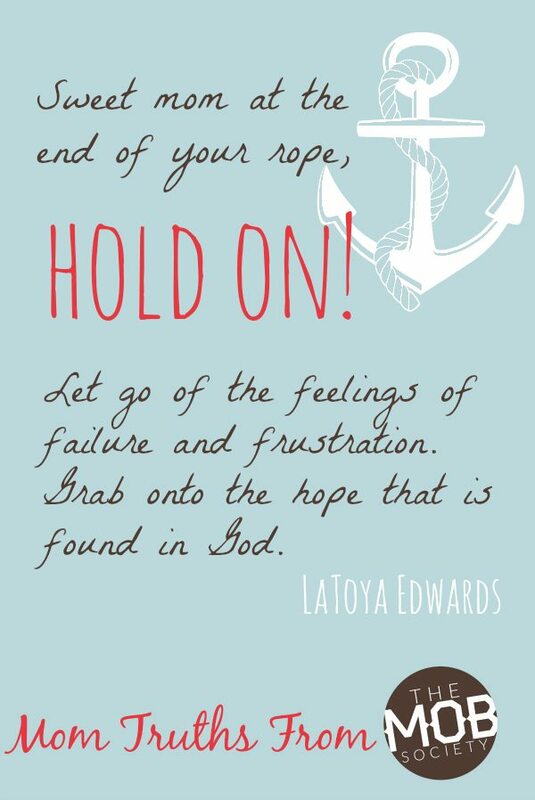 Grab onto the hope that is found in God. Pray over your son and look for all the ways that he will be a blessing to others. May that stubborn child learn to be firm in his faith. May those overactive young men find ways to get busy for the Lord. And may you, sweet mom, find rest in the arms of the One that will see you through all things. 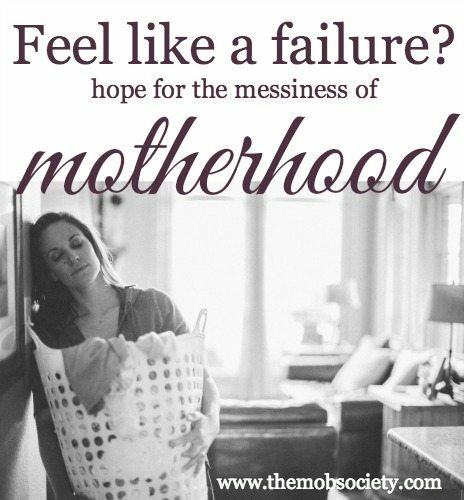 The entire month of January 2014, the MOB Society (for mothers of boys) will be offering hope for the messiness of motherhood as they address real reader’s feelings of failure as a mom. Join us! Thank you Lord, for this encouragement today. Headed to the doctor for another review- and my 9 year old has a purple face because he was up in the night again and was eating sprinkles. I don’t understand him, and I don’t know how to help him. But, his smile lights up the room, and he loves to read the encyclopedia, and I know my life is better because of my wild boy. I don’t do enough praying over him, but I will definitely start today. Wonderful words of encouragement! I also have to frequently remind myself that God is a REDEEMER and that even if I don’t perfectly parent, He will use both the mistakes I make and the things I do right to shape my children (boys) into the persons He created them to be. After all, that is what He did with me! Yes Robin HE will stand in any gaps that we have! I feel like I could have written this word for word. Diet changes. Therapy. Medication. All of it. Sometimes I don’t feel as though it will ever get any better than this. I have tears streaming down my face because I realize now that I’m not the only one who struggles feeling like a failure. How can I be so frustrated with someone so little, and who cannot and may not ever be able to control that behavior? I hold on to the hope that what makes him passionately aggressive, argumentative, and destructive, will be used by the grace of God to make him passionately and aggressively seek Jesus. That the same determination he uses now to convince everyone that everything must be his way, could cultivate a love for Christ that will actually make him influential (for things other than why he should be allowed 10 extra minutes before bed). Christie that is awesome I’m sure that you are doing a great job!